After that, Mr. Chen and Mr. Luo shown them around our company's exhibition hall, production workshop and optical research classroom. Through this field visiting, delegation had gone a further step of Jiuzhou's corporate culture, products and future development prospects. And during the visiting, the delegation marveled at Jiuzhou's advanced technology and green energy products. 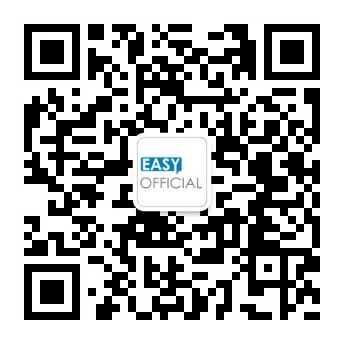 We all communicated with each other in a friendly and harmonious atmosphere and became friends with each other. 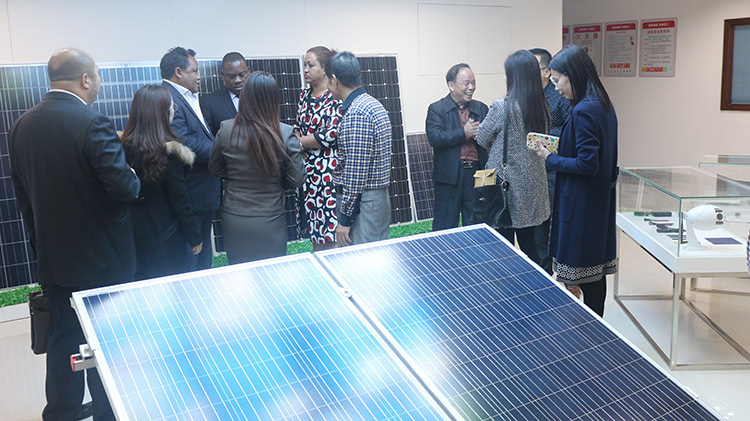 With this visiting，it has not only enhanced international exchanges and cooperation, but also expanded the international publicity of Jiuzhou Solar. 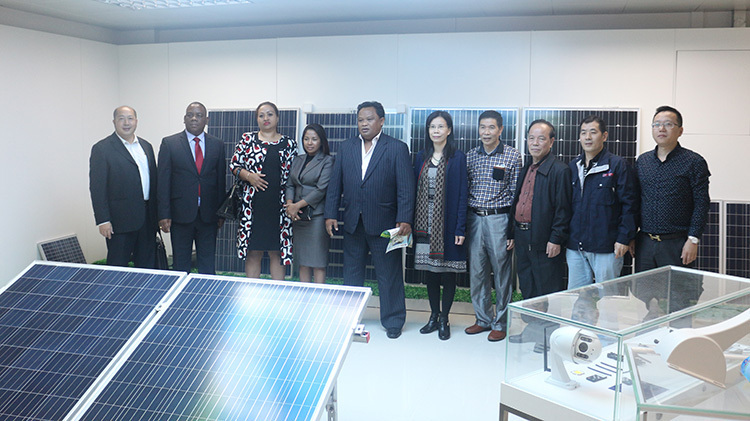 After having learned about Jiuzhou Solar, theSpecial Envoy ' s mission, in combination with Madagascar's abundant sunshine resources, invited Jiuzhou to invest in the local area to build a factory and said:“ In the near future, solar products in Jiuzhou will surely win a broad market overseas”. In a burst of laughter, the special envoy delegation concluded the visit.